Famous crankypants cartoonist, Harvey Pekar, passed away today at the age of 70. 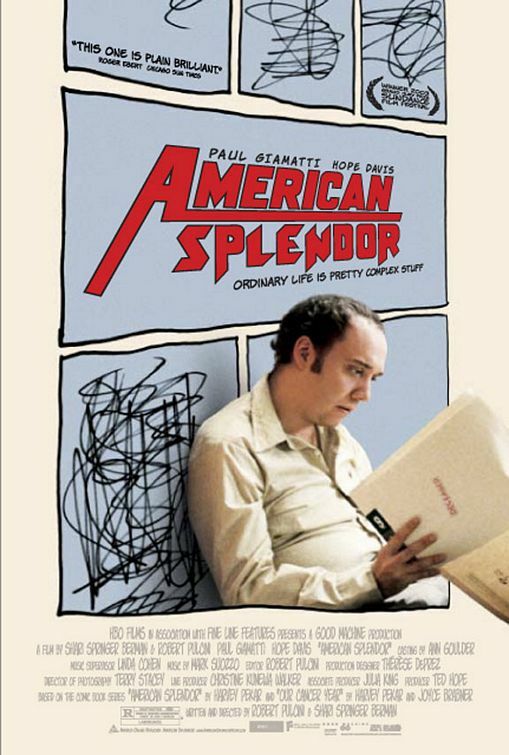 Although he couldn’t sketch his way out of a paperbag, his collaboration with R. Crumb and several more of the industry’s top illustrators brought his comical, curmudgeonly autobiographical stories to life, culminating in the critically-acclaimed American Splendor (2003). This entry was posted in 2000s posters, Artists & Illustrators, Pop Culture and tagged american splendor, comic book, harvey pekar, paul giamatti, r. crumb by russ. Bookmark the permalink.